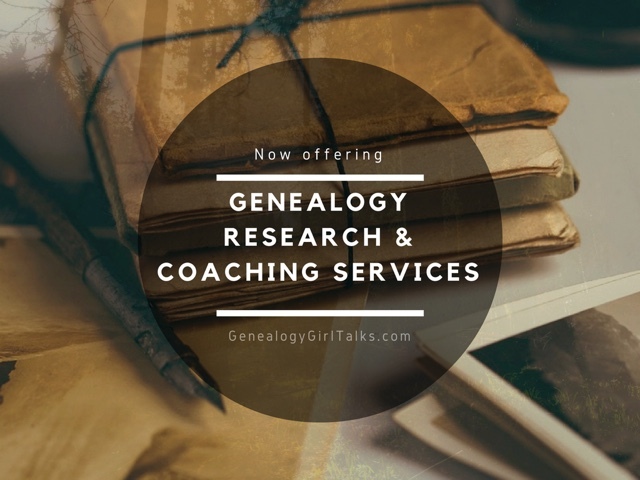 If you are using Pinterest for your Family History and Genealogy, I have great news for you! In August 2014 Pinterest announced that they are adding a new feature. Are you ready for this? Pinterest is adding direct messaging! What does that mean? It means that now you can message other Pinterest users! This is great news! I was so excited when I heard this! Now you can send pins and messages to other users. This is a great way to connect with family! 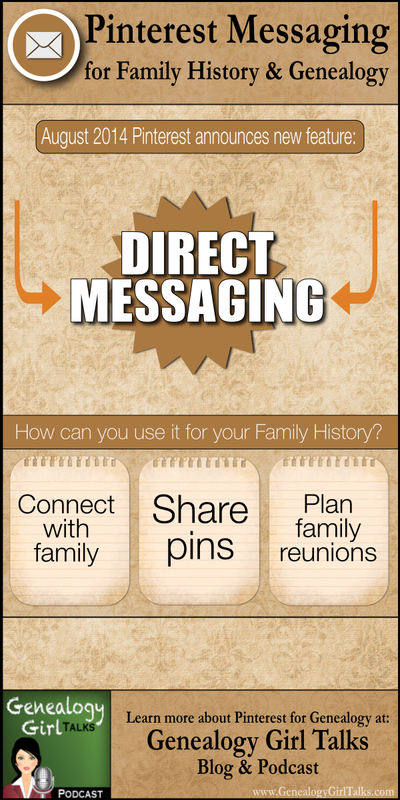 You can share amazing pins you found regarding your own family history, other family members (that you may not even know yet) can connect with you, and you can use these messages as a great tool to build family group boards! Oh, I am so excited! So, you may be asking, how do I use the Direct Messaging service? 1. If you are using Pinterest on your computer, you can find the messaging feature by first logging into your account. Then, on the top right hand side (next to your account name) you will see your notifications tab. Click on this tab and it will drop down. Next to your notifications you will see messages. Once you click on "Messages" you can view your past messages. If you would like to compose a new message, click the little plus ("+") sign. You need to select who your message will be sent to then click next. A little window will pop up (mine is near the bottom of the page). You can select the pin you would like to send (or just type in your message). Once I clicked return on my keyboard, the message sent so I would advise that you not hit the return key too soon. You can close your "message window" by clicking the "X" and also close the person's avatar by clicking on it - there will be a little "X" there as well. 2. If you are a mobile user, you first need to make sure your Pinterest app is updated. Once your app is updated, you will need to go to your notifications tab (this is located near the bottom on ios devices). Click the notifications tab. At the top you will see the all new "Messages" tab. Click the "+ New Message" and select the user you would like to send a message to. Click the "next" button and type your message. Oh, and don't forget to click send! If you want to try out this new feature, go ahead and send me a message and tell me hi. 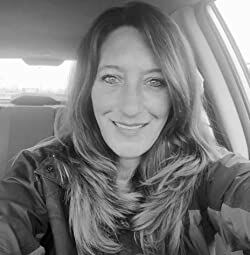 You can find me on Pinterest as Genealogy Girl Talks. So now that we know what the Pinterest messaging feature is and where to find it, let's look at a few ways you can use it for your family history and genealogy. 1. Share pins with others. 4. Create family group boards with others. 7. 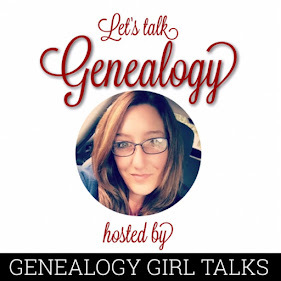 Connect with others who enjoy genealogy and family history. 8. Thank people for following you and direct them to your blog or website. 9. Simply chat with others and make new friends. 11. And so much more!! I am delighted Pinterest added this feature. I intend to use it in my own family history and research and will keep you updated on how it goes. How do you plan to use Pinterest's new messaging feature for your family history and genealogy? To visit the audio blog/podcast for this post, click here.